At first glance, an Arachnid Dragon may seem dangerous. But it is actually very friendly. Concerning its origin, it is only known that its ancestors were extremely remote planets. 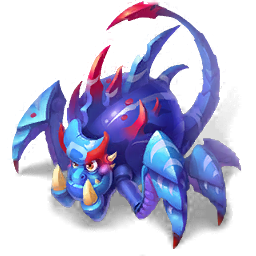 How to Breed Arachnid Dragon? Find out how to breed Arachnid dragon with the How to Breed Calculator!